The line dancing journey for Saundra started in 2005 as a student with Jessie's Soul Line Dancers. In 2008, after several instructing endeavors, Style & Rhythm Line Dancers, LLC was formed. She is currently the Owner/Instructor for Style & Rhythm Line Dancers, LLC. Style & Rhythm is dedicated to introducing urban line dancing as a fun alternative to traditional exercise, networking and social entertainment as well as an excellent confidence booster. Currently, you can find Saundra teaching several times a week in the Maryland area (Jessup & Capital Heights). 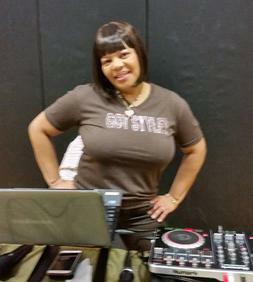 Although she has choreographed several line dances her passion is being an Instructor. Whether you are a beginner or a seasoned dancer, her unique "style" of teaching will have everyone getting into the "rhythm" of the dance. You do not need any previous dance experience. Low, moderate, and high energy dance routines help you burn calories while having fun. If you don't attend her class, no worries.....you can find her hosting a free monthly social every fourth Friday. All are welcome and sure to learn a dance or two on the floor. Saundra was Voted 2012 UC Star Awards Instructor of the Year. 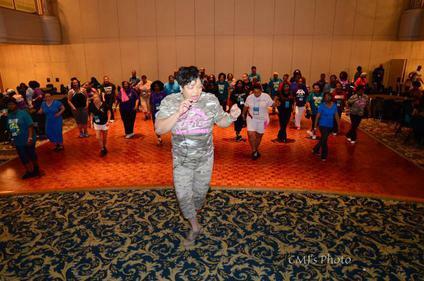 She has attended and instructed at several line dance Conventions/Workshops. Enhance your special event....Workshop, Birthdays, small gatherings, Conventions, Fitness Centers, etc. by adding line dancing as a fun way to exercise or just have fun. Do it... for your Health! Do it...with Style & Rhythm!!! If you are in the Maryland area feel free to visit with us, we would love to see you.